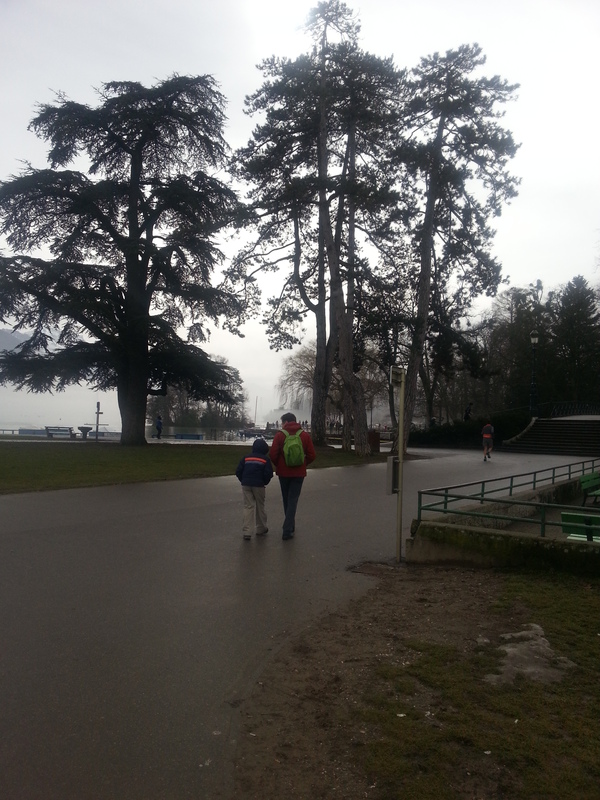 A day out in Annecy in March, not the best time but the best place to go for a family like us. 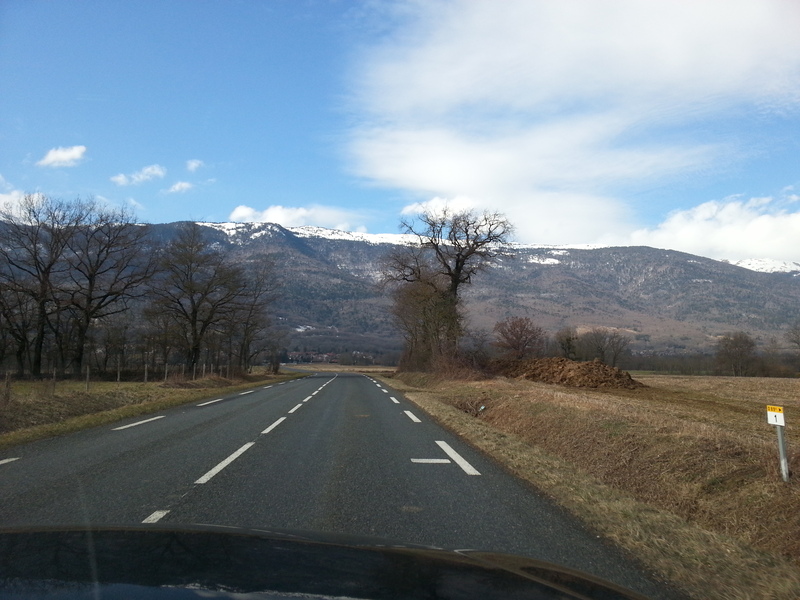 We went to Geneve Motor Show last March, which was a quick but a good decision. It wasn’t the first time neither to Switzerland nor to France, but the first time in the area. Being the last minute planner for the motor show, we could not find a place to stay in Geneve, so we searched for around and find a convenient, business hotel at Thoiry/France, a cute little village just half an hour drive from Geneve. Of course a long weekend to the area provides you more than the motor show itself. 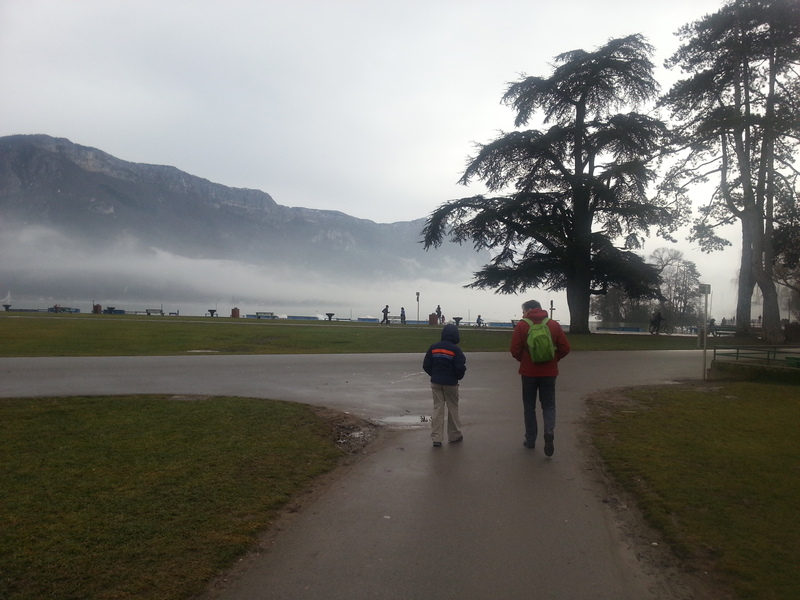 So we decided to do a day trip to Annecy, which was about 50 km. from our hotel. 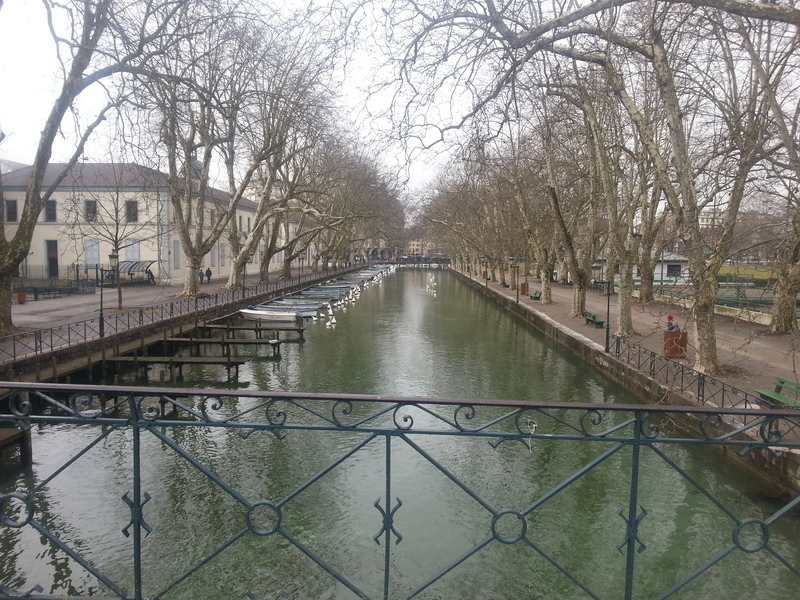 Annecy is a very nice town, in the middle of the Alpine Mountains, by the lovely lake of Annecy. A town of castles, lakes, rivers and bridges. 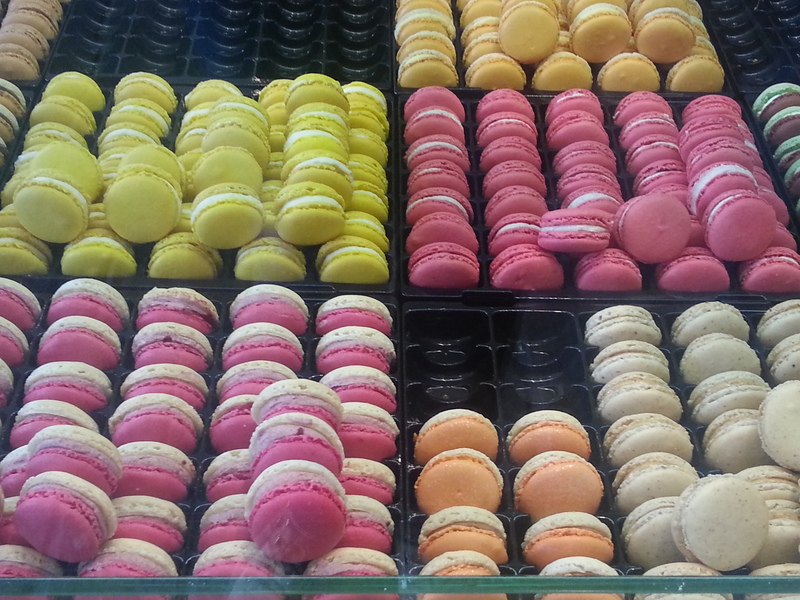 French Cafes, Macaronis, red tiled roofs and little village streets. Parks, large trees, fog and well, castles again. We started our tour in the lanes of the town, climbing up to the castle, which was not the best part for our son actually, as he doesn’t like to walk. 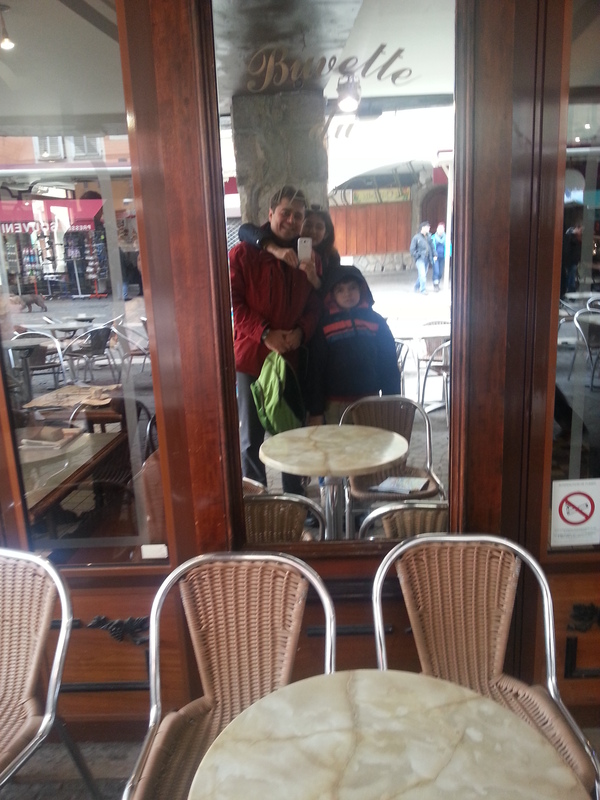 Afterwards, we had a little break in a nice French cafe, at a very small corner table and enjoyed our hot chocolates and cappuccinos. For lunch (which I may tell mote n another post sometime later) we had a lovely meal at a very French restaurant. When I say French I really mean French, with French speaking waiters and a French menu. Thanks to the non-Parisian French guests of the restaurant on the next table, they very helpfully explained us all the menu in English and with lots of advice, helped us to give our order. In the afternoon we did a walk by the foggy lake and some “people watch” activity with lots of relaxing time and feeding the swans. By the evening, we loved the town, loved the people and dreamed of coming back sometime in summer or late spring maybe in the coming years.